People reach for their mobile phones throughout the day for help getting things done. And it's often a mobile app that delivers what they need—whether it's a new pair of rain boots or a puzzle game to pass the time during a commute. Universal App campaigns help connect your app with more of these app-happy consumers. Today, we are simplifying the name of “Universal App campaigns” to “App campaigns.” This move will not affect campaign features or functionality, and there’s no action required for existing app promotion customers. App campaigns use Google’s machine learning technology to help you find the users that matter most to you, based on your defined business goals—across Google Search, Play, YouTube, and over three million sites and apps—all from one campaign. 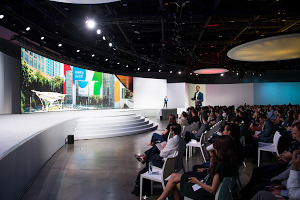 To date, App campaigns have delivered unprecedented results for the developer community—helping drive more than 17 billion app installs, according to Google Internal data from 2019. We hope this more direct name will help advertisers and developers get started with Google Ads and select the right campaign type for their business goals. You’ll start to see these changes roll out over the next month. We’ll talk more about this change—and other new App ad innovations—at the Game Developers Conference in San Francisco in mid-March. We hope to see you there!